Designed in the mid '80s by Yale and US National Team Rower John Duke who formed WaterRower Inc in 1988 in Rhode Island, in the North Eastern United States. Today the Americas Headquarters continues to be based in Rhode Island, in the small coastal town of Warren. WaterRower (UK) Ltd was formed in 1991 to market and distribute the WaterRower throughout Europe under license to WaterRower Inc. 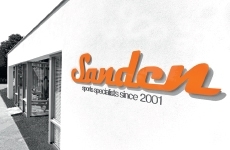 Initially with offices in Fulham, London, a 1993 agreement provided WaterRower (UK) Ltd with the additional right to manufacture the WaterRower for Europe. Workshops were established in the idyllic stately home of the Earl and Countess of Sandwich, Mapperton Manor. Today, WaterRower has over 70 staff in 11 global offices while manufacturing all the products in the Warren facility. 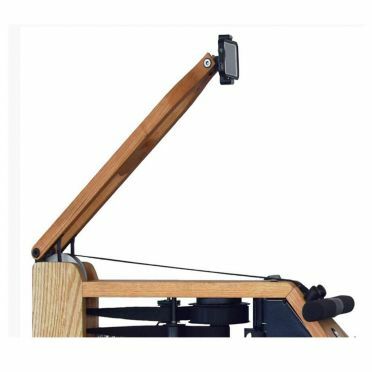 The Waterrower Phone and Tablet Arm is Designed for all wooden WaterRower rowing machines and available in our full range of hardwoods. 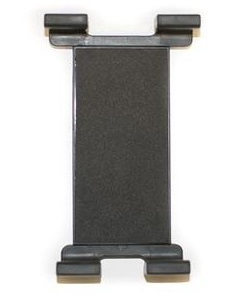 Holds your tablet or phone to view whilst rowing. Note: Medium and Large tablet sizes sold separately. 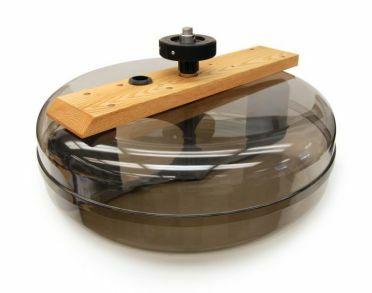 With the WaterRower replacement tank you can replace the broken tank of your waterrower. When ordering the tank, make sure you have selected the right rowing machine model. 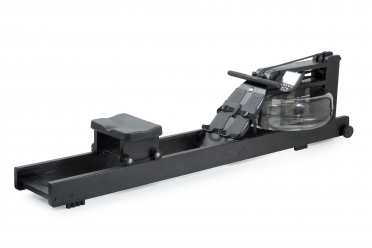 These tanks can only be used in combination with a rowing machine of the brand WaterRower. 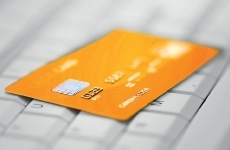 The picture shown is a universal image, it may differ from the actual product. The Waterrower Rowing machine natural oak wood used is hand crafted in solid Ash and stained Honey Oak for consistency of color. Each rowing machine has been hand finished with Danish Oil giving a deep lustre and warmth to the wood. Wood has been chosen due to its marvellous engineering properties, primary amongst these is its ability to absorb sound and vibration enhancing the WaterRower's smooth and quiet operation. Ash, like all woods used in WaterRower construction, is a premium hardwood with incredible longevity and dimensional stability. For reasons of ecology, all of our woods are harvested from replenishable forests. WaterRower Rowing machine natural in ash demo offers the most realistic exercise of all rowing machines. The only rower-ergometer on the market with water resistance, WaterRower provides the perfect home workout that simulates rowing in a canoe. Feel for yourself its one-of-a-kind resistance, and hear the quiet, soothing sound of the water. WaterRower adapts to every user. Resistance automatically corresponds the force of your stroke: the harder you pull, the higher the resistance. 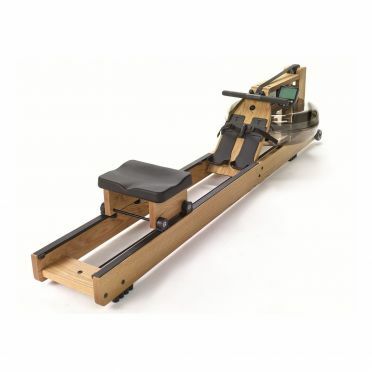 The WaterRower Rowing machine classic walnut demo is hand crafted in solid American Black Walnut. Like all woods, Black Walnut may vary in color from a rich brown to purple-black. Each machine has been hand finished with three coats of Danish Oil giving a deep lustre an warmth to the wood. Wood has been chosen due to its marvellous engineering properties, primary amongst these is its ability to absorb sound and vibration enhancing the WaterRower's quietness and smoothness of use. Black Walnut, like all woods used in WaterRower construction, is a premium hardwood with incredible longevity and dimensional stability. For reasons of ecology, all our woods are harvested from replenishable forests. 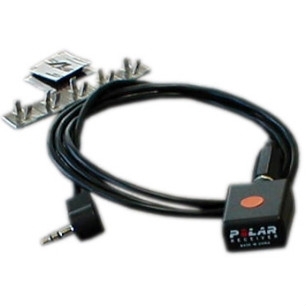 WaterRower Polar receiver: receiver for heart rate signals from a Polar-compatible chest strap (available separately). Permits use of pulse-controlled functions with WaterRower Rowing Machines. 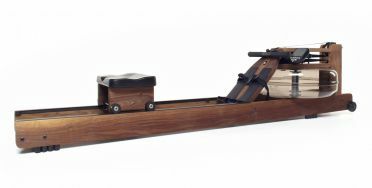 The Waterrower Rowing machine oxbridge solid cherry wood demo is hand crafted in solid Cherry wood. Like all woods, Cherry wood may vary in color from a red-brown to deep red. The wood will darken in color with exposure to light. For this reason all WaterRower Cherry wood components are kept in light free rooms to protect from shadowing. The Waterrower Rowing machine all black is made of stained ash wood and offers you the most realistic training of all rowing machines. Being the unique rowing exercise bike with water resistance on the market, the WaterRower offers you a perfect home training, which is as perfect as real rowing on water. Experience the unique feeling of water resistance and listen to the silent and pleasant rushing of water. 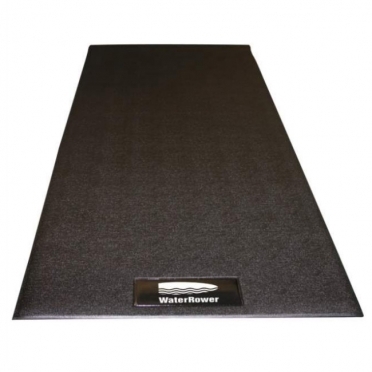 The Waterrower Protective mat 225 x 90 cm provides optimum protection when exercising with a rowing machine. The shifting of the exercise equipment is almost impossible with the WaterRower protective mat underneath.